"I have been overweight all of my life and after I had my son, I just never lost the extra weight. As I have gotten older my health was declining. My blood pressure was creeping up and I had to start taking BP medication. Every time we checked, my A1C was getting closer to the diabetic range. I have a family history of diabetes and knew I did not want to be diabetic. When I found out OHI was starting a weight loss program, I signed up immediately and was in their first class. 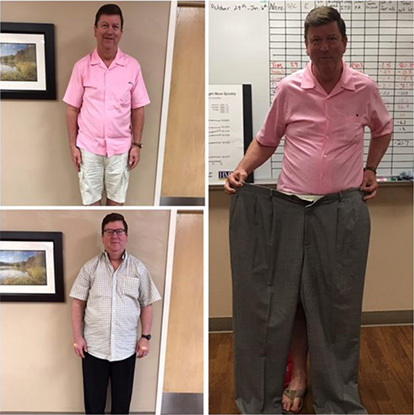 With the help of the OHI staff, I have lost 95 pounds and kept it off for several months. I am no longer considered prediabetic and am slowly weaning off the BP meds. It is a daily process and I have to be on guard so I don’t fall back into old habits. They have a weekly maintenance class that helps me stay on course. I exercise daily and I love it. I never really enjoyed exercise but now I don’t feel right if I miss a day. I love how I look and feel now and I don’t ever plan to go back to what I was. This me is so much more fun!" 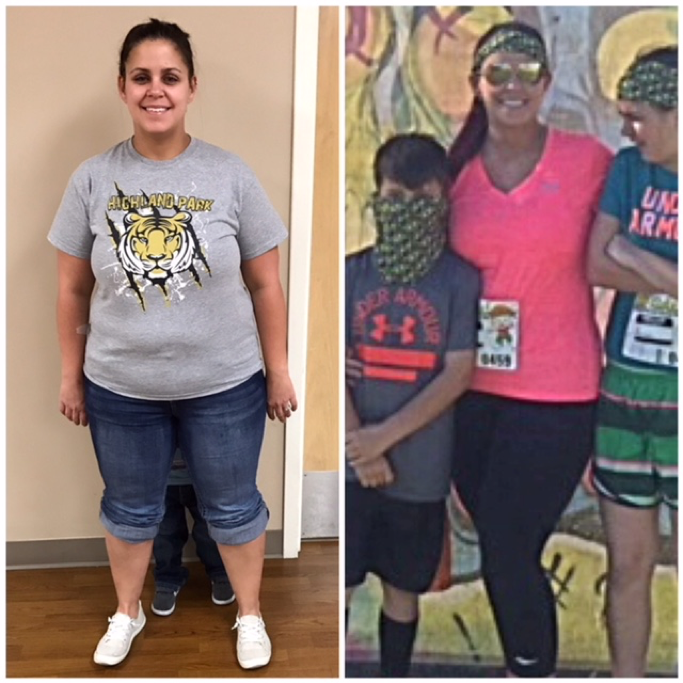 "The HMR program offered by the Weight Loss & Wellness Center at Oklahoma Heart Institute has changed my life! 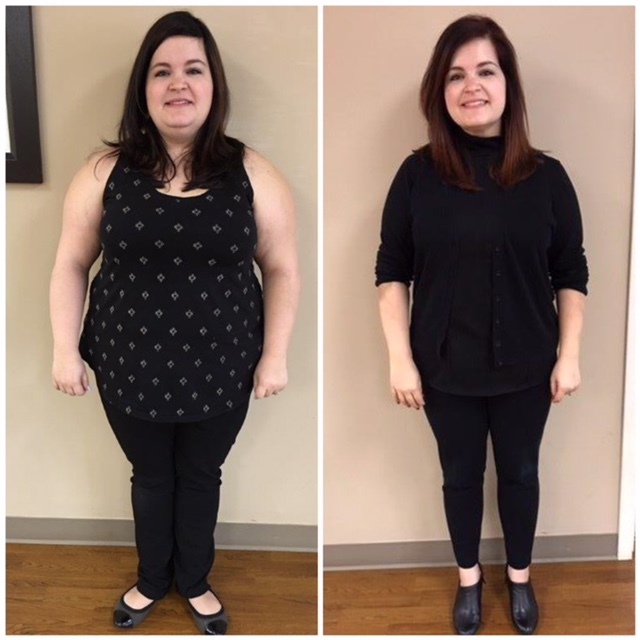 In February, weighing over 200 pounds, I was ready and needed to transform my unhealthy lifestyle but did not know where to begin. Thankfully a friend of mine told me of HMR. I knew with the structured program and support of so many people I could have a successful transformation. The HMR program and the WLWC staff provided me with the education and tools to begin transforming myself into a healthy person. 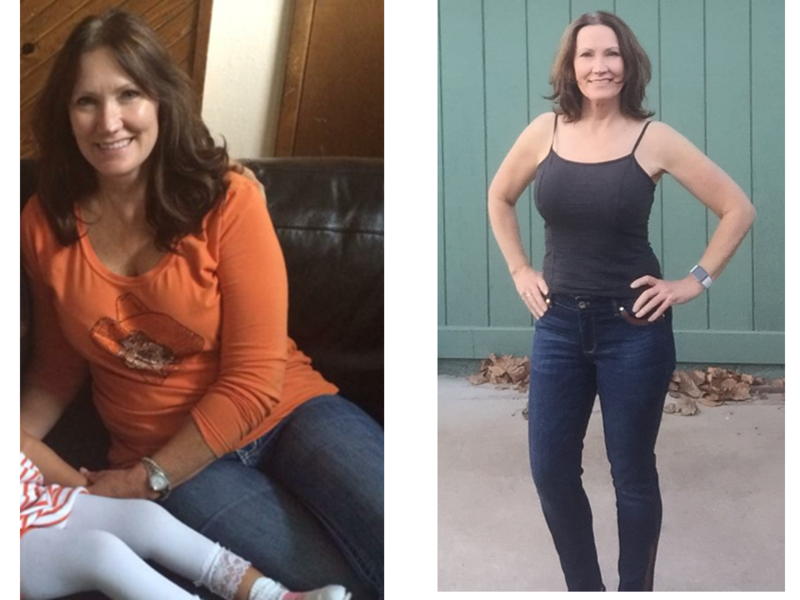 I was amazed how fast I began to see results in my overall wellness, weight loss and strength. I feel the best I have ever felt and am so thankful to be a part of this amazing program! I went from a size 18 to a size 5; I never thought that would happen. I'm close to achieving my ideal body weight and now on the right path to receiving a lifetime of health benefits!" "I was pretty unhealthy. I was overweight, out of shape. I smoked for 20 years - you name it. I didn't take it seriously. I thought, 'that's something I can deal with later.' I wondered what I could do. I started Decision-Free, and I've surprised myself. I seek to be healthy and have a lot of motivation. It's a mindset that you want to do it. I get a second chance." "Before finding the HMR diet, I was so frustrated. I tried to lose the extra weight for many years with fad diets and strenuous exercise. The result was weight gain, confusion about what I should be eating, hunger and a tired, achy body. None of my clothes fit anymore, and I refused to buy yet a larger size. I heard about HMR and decided to try it. Not only did I lose weight the very first week, I lost weight without being hungry. I was so excited! I consistently lost weight every week for a total of 23 pounds in 12 weeks. The weight seemed to fall off; I felt like it was a miracle. Every week, I weighed in with my cohorts and received encouragement from the HMR team. They helped me with eating plans and record keeping, helping me stay on track. The meals and shakes are delicious and convenient. The plan has a lot of variety with protein bars, hot cereal and soup. For the first time in 15 years, my New Year’s resolution list was missing 'lose weight.' The problem is that I did have to buy new clothes after all - two sizes smaller!" "As a physician, I often talk to patients about their weight and the impact it has on their health. 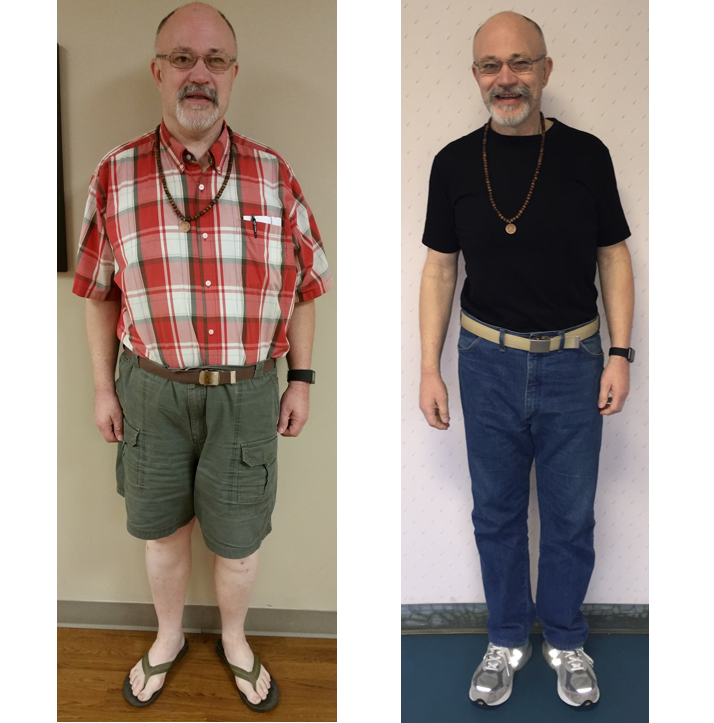 When I was obese, the patients would often look at me like, ‘who are you to talk about weight.’ I realized to better help patients with their health, I needed to address my own weight issue. 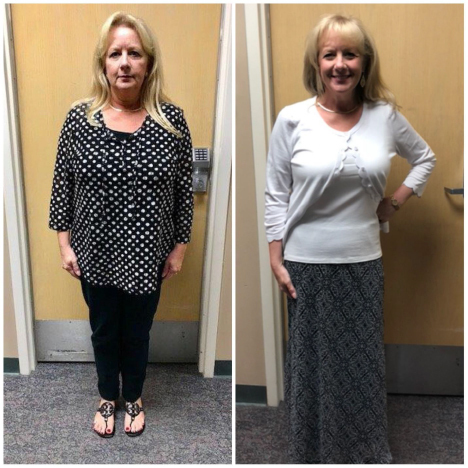 The easy-to-follow Phase 1 of the HMR diet helped me get my weight where it needs to be to improve my health and allow me to talk to patients about their weight without hypocrisy. Phase 1 also taught me ways to include physical activity in my already busy life. For me, the most important part of the HMR program has been Phase 2. In today's high calorie, super-sized portion food environment, it takes planning to maintain health. HMR Phase 2 has been essential for me to learn to add back "regular" foods while I make sure I keep off the weight lost." 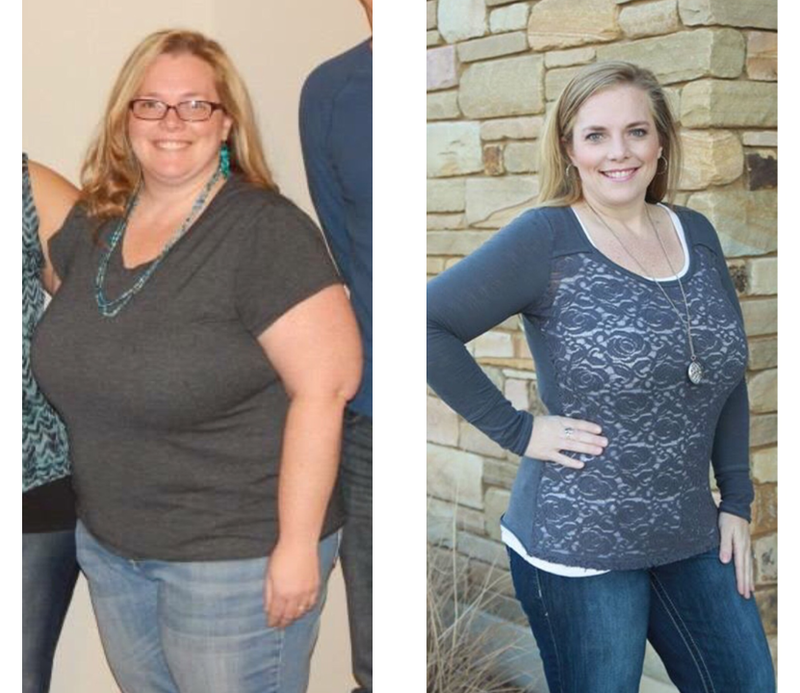 “I am writing this testimonial to share my personal experience with Weight Loss and Wellness Center. I learned about the program from my cardiologist at Oklahoma Heart Institute, who recommended this great option for me to reduce my hypertension, get off the medication and for other cardiovascular risk reduction. 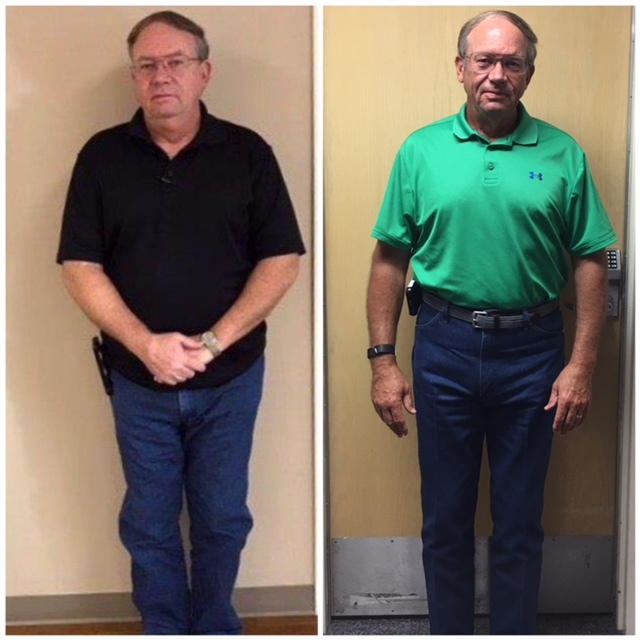 I joined the program (Healthy Solutions) and have since lost 62 pounds within 6 months. My blood pressure is normal, and eventually, I will be off the medication. I am feeling great, having so much more energy to do the things I want to do with my family. The staff provides the best support system anyone can ask for; the classes are very informative. The program itself is made with the individual in mind; the food selection is fantastic. I highly recommend this program because you will lose the weight, and your overall health will improve immensely." "I heard about the program on the radio and decided to attend the information session. After learning how successful the program was I decided to give it a try. 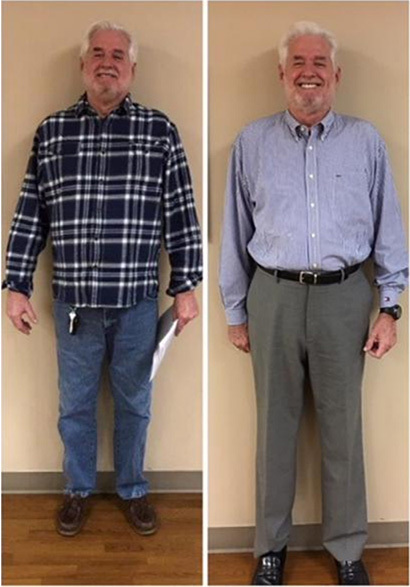 I lost 60 pounds in 13 weeks on the Healthy Solutions Program. My approach was to strictly follow the program and the coaching I received from the staff. As a result, I lost 11 pounds the first week and averaged a 4 pound loss each week until my goal was met. As the weight came off, I was able to increase my exercise from walking to jogging and in most weeks even doubled my recommended per week physical activity requirement. 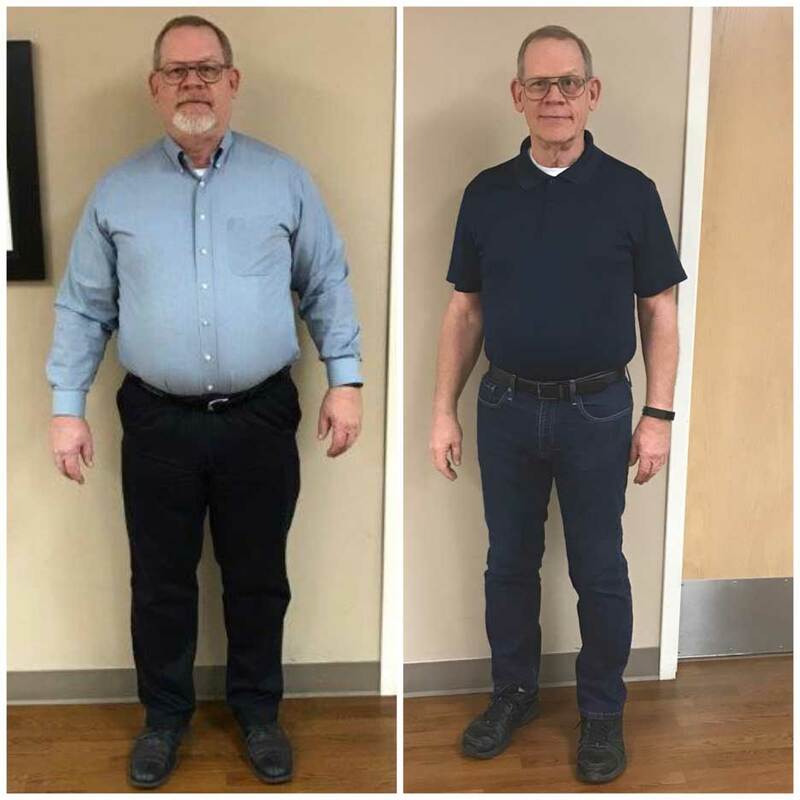 I think the key to the rapid weight loss I experienced in the program was that I strictly adhered to the diet (getting the prescribed meal replacements each day), completed the required amount of physical activity plus some each week, kept records of everything I consumed each day and attended each weekly meeting where I learned a wealth of information. I was very impressed with the program and the dedication each participant received from the knowledgeable staff. 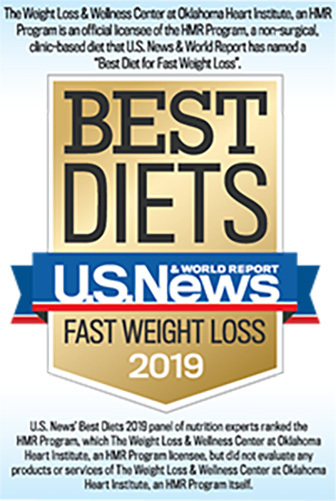 The path to a healthy weight and better life begins with your decision to develop that path into a healthy lifestyle and the HMR Program is a great way to do just that." “I am a 63 year old male with Atrial Fibrillation, high blood pressure, high cholesterol and diabetes. My cardiologist and primary care physician agreed that I needed to lose weight. I tried various other programs and diets which worked to get rid of a few pounds, but the pounds came back as soon as I stopped. So I decided to try the Health Management Resource (HMR) program in January 2017 through Oklahoma Heart Institute." 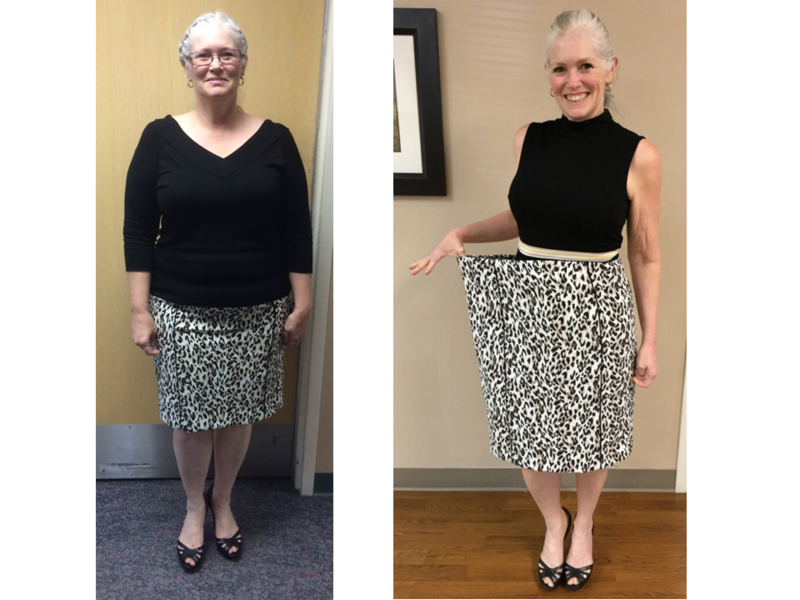 "I set a weight loss goal of 100 lbs but my real goal was to stop and possibly reverse some of the health issues I was facing. I began losing weight immediately on the HMR diet, losing 8 lbs in the first 4 days. I have continued to steadily lose weight on the program, averaging just less than half-a-pound a day. I have lost 88.5 lbs so far in less than a year. Best of all, I have cut my blood pressure medicine in half and I have more energy than I have had in years. My fasting blood sugar is down 50 points from just 4 months ago." "The diet consists of boxed meals, shakes, cereal and soup which are microwaved in less than two minutes and there is plenty of variety. There is a minimum number of shakes and meals you have to eat but you are not limited by how many meals or shakes you want. I practice "more is better" since I eat twice the amount of meals and enjoy more than the minimum number of shakes each day. It's hard to believe that you can eat more and lose weight, but I'm living proof." "Exercise is part of the program. You are encouraged to exercise a minimum amount of time each week. It's not hard to meet the minimum required and in fact, soon becomes even easier as you shed the pounds. Your weight loss is monitored by medical staff, complete with periodic blood work to help track your progress." "The program consists of two phases. The first phase is all about losing your weight quickly and safely. The second phase is dedicated to teaching you how to maintain your weight loss through healthy choices and lifestyle change. I'm now in phase two. I can see the finish line and I'm proud of myself for this accomplishment. I'm surprised at how doable this program is." "I really enjoy the weekly meetings and seeing the other participants. I look forward to trading recipes, sharing experiences and motivating each other. We celebrate the weight loss milestones but more importantly we celebrate the common effort and achievement as we battle being overweight in a society that helps to make being overweight easy." "I would recommend the HMR diet to anyone ready to get serious about losing the weight. In fact, I have recommended it to everyone that says, Bud, you've really lost weight. What have you been doing?" At 46 years old I was on a path I didn’t want to be on. I weighed 320 pounds, had high blood pressure as well as sleep apnea and couldn’t walk down the block without getting shin splints. I asked my doctor about gastric bypass surgery and he refused. He said that I am an athlete and a performer who is disciplined enough to do it the old fashioned way with some help. That help was Health Management Resources (HMR). This program took all the guesswork out because there weren’t points or calorie counting. What makes this program stand out is the staff. The level of accountability and support was unlike anything I had experienced in my other attempts to lose weight. I now have the tools to maintain my new outlook for the long haul. In about 15 months I lost 89 pounds! I started running 5k’s and obstacle endurance races and am off all blood pressure medications and no longer have sleep apnea. HMR saved my life. I grew up thin and was thin for the first part of my legal career. I have always had a self image of a thin person even after I became overweight. I knew that I was sedentary, overweight and unhealthy. I tried several fad diets but kept returning to my old ways by cheating on the diet or finding some loophole in the diet’s rules. I needed a lifestyle change. HMR understood where I was coming from. Their program is called Decision Free. With medical supervision they put me on a low calorie that as long as I stayed with their food it was impossible to abuse. For roughly six months, I ate their food. My old self would ask for more food and all I could eat was HMR low calorie food. I also exercised. Before this diet, I was in such bad shape that I would be out of breath on my walks to the courthouse. I started out walking 30 minutes a day but before long I was walking an hour and a half at a time wearing a weighted backpack. Around Thanksgiving, I was scheduled to walk in a 5K. By then, my fitness was better so I decided to run instead. I was sore for days, but now I’m running 5Ks and working myself up to 5 mile runs. I have benefited greatly from this change in lifestyle. I never get tired of reintroducing myself to friends I haven’t seen in six months or talking about this new way of life. HMR provided the support framework to get me to this point and they are still here. I go to meetings once a week and still use their food as part of an overall healthy diet. At my heaviest I weighed 340 pounds. In January 2016 I began a popular diet counting points. I lost 40 pounds over a period of about six months. By February 2017, I had gained 20 pounds back. I knew I needed to do something to get the weight off and keep it off. A friend told me about the HMR program at Oklahoma Heart Institute. The next day I called and got set up to come to the class to learn about the program. I started the HMR Decision Free program on March 16, 2017. My starting weight was 319.9 and my goal was to lose 80 pounds. When I started the program, I was diabetic and taking medication for diabetes, high blood pressure and high cholesterol. 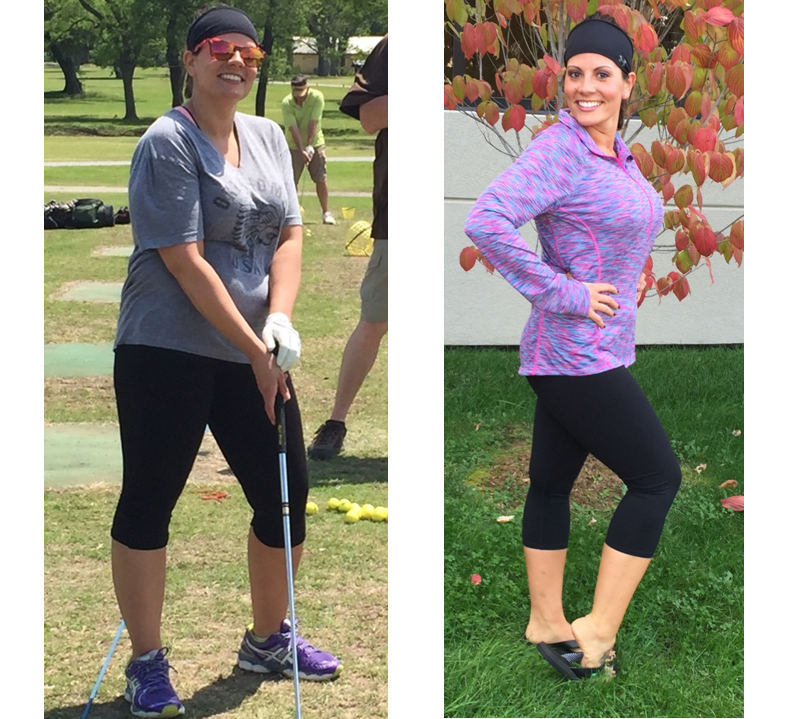 As I began to lose the weight, my health began to improve and my energy level increased. By June I was completely off my diabetes medication. I went from 40mg per day of my blood pressure medication to 10mg per day. My cholesterol numbers are now normal. The bottom line is that this program works. I have tried several diets in the past and even though I would lose 30 or 40 pounds I always gained it back. The HMR food is good and convenient. The support and education you get from the HMR staff is priceless. They want you to succeed and provide you the tools to do so. I have been in Phase 2 since October 9 and have maintained my goal weight for 4 months now. I feel and look healthier than I have in years. a weight-loss program and stuck it out for four years until we were forced to admit defeat. The biggest challenge for me was that either I was hungry or felt a certain sense of guilt that I had over-indulged in my eating. Another problem was that there was no personal accountability. My daughter told me about the Health Management Resource (HMR) program and its wonderful track record so my wife and I decided to try it out in January 2017. 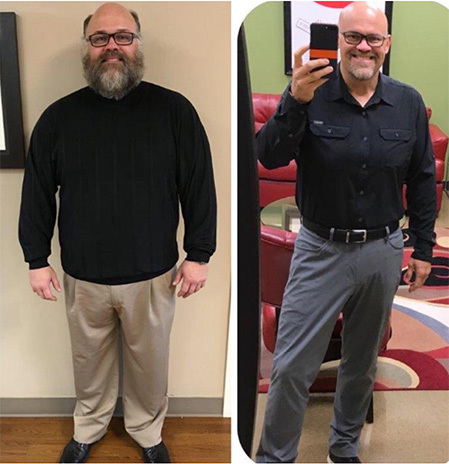 Within the first four months I had lost 55 pounds. There is accountability in the HMR program that I had not experienced before and the changes in my life have been truly significant. I exercised as the program dictated and as my stamina grew, so did my desire to do even more. I went from plodding around the park every day to running. I felt better, my clothes fit better and people began to comment about how much younger I looked. Besides loosing the weight, the greatest unintended consequence of this program was my breathing. A few months before enrolling, I was diagnosed with COPD from 30+ years of smoking. I would frequently awaken in the middle of the night feeling like I was being suffocated. Only a short three to four months into the program I noticed I was no longer struggling to breathe. In fact, my breathing has returned to normal. Now I am in the maintenance phase (phase II). During this phase, we learn how to live in the real world by learning how to think before we eat and how to keep our newly found exercise routine intact. The most important aspect of phase II is that it has shown me, and continues to show me, how to self-correct. When I inevitably gain a few pounds I get to work exercising and doing what I know I need to do to get back on track loosing the extra weight. The HMR program and my coaches have truly changed my life! I will never be the same again. 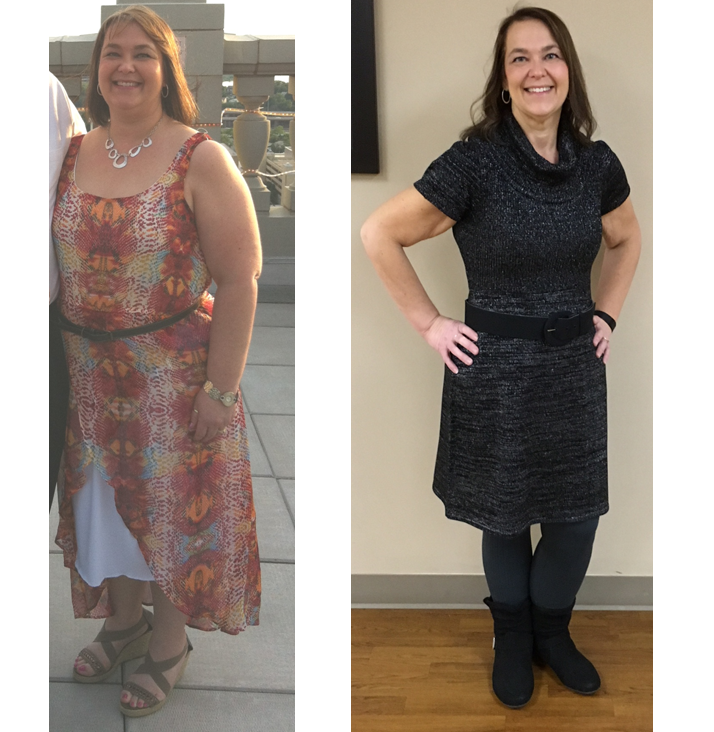 I am 55 years old and had found myself putting on extra pounds over the past several years. As a result, my overall health was suffering with increased joint problems, high blood pressure and very poor lipid panel results. 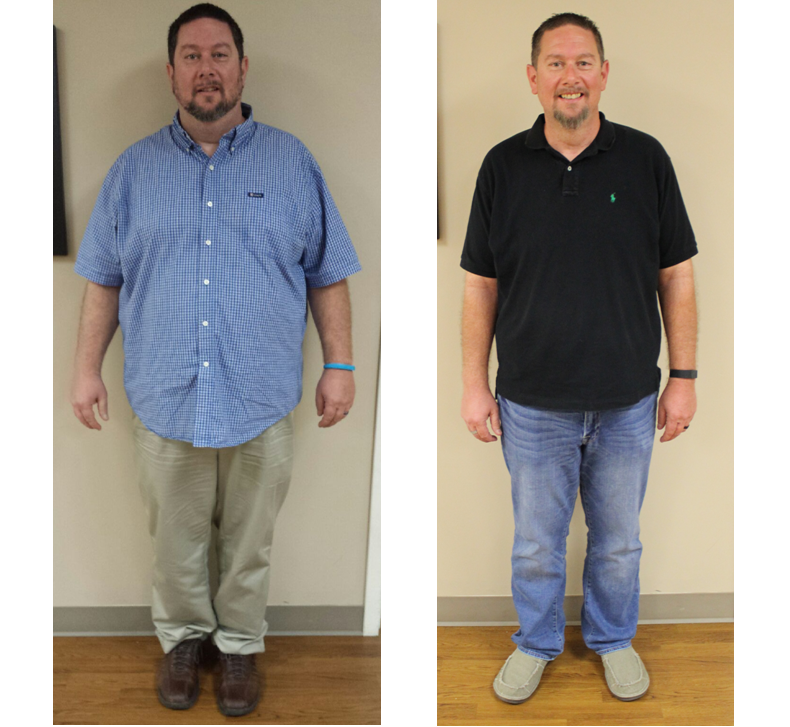 A friend of mine lost a considerable amount of weight with HMR and highly recommended the program. I have to say that The Weight Loss & Wellness Center exceeded my expectations! The staff are supportive, compassionate and also gave me the motivation I needed to get to my goal. Brook, Terri, Precious and Sarah are a great team and all work as a unit to make sure you are receiving the tools you need to succeed. They have a caring and personal approach that is very positive and welcoming. Aside from looking and feeling better, my blood pressure and lipids are all in the normal range now and I could not be happier with the results!